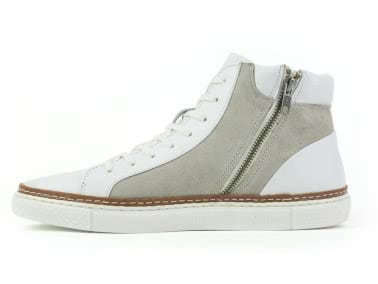 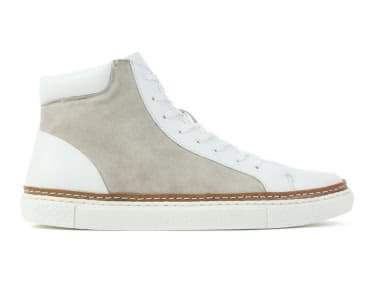 This sleek leather and suede high top is the perfect work to play silhouette. The inside zipper makes it easy to put on and easy to take off. 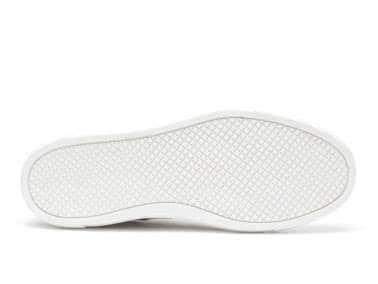 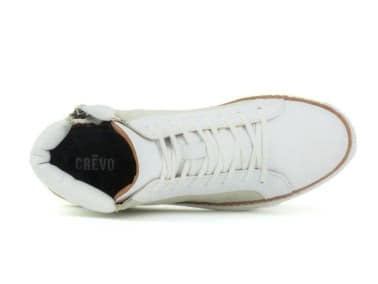 Pair that with a comfort memory foam sock, leather welted detail, and flexible outsole and it becomes an instant classic. Comments: They're really comfortable and easy to put on. The low key zipper makes wearing high tops practical.